Mme Ranevskaya is returning from Paris to her family home in the Russian countryside to find the estate is hopelessly in debt. She is met by Lopakhin, a wealthy merchant whose father was a serf. 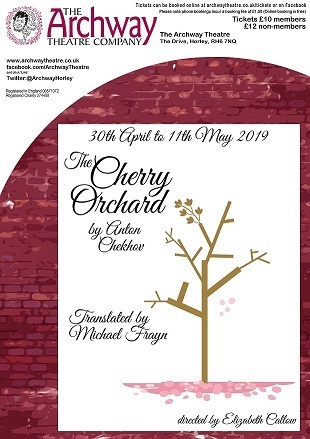 He informs her that the cherry orchard will need to sold and urges her to lease the buildings to save it but she and her brother Gaev will not listen. On the day the estate is to be auctioned the family give a party. Whilst the dancing is at its height Lopakhin arrives and makes a surprising announcement. Chekhov's last play is full of humour, pathos and colourful characters and the themes explored are not so far removed from the changes we face today.